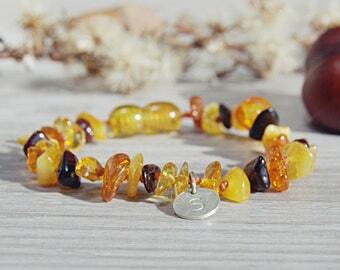 I made this natural Baltic amber bracelet from real amber. Elegant, natural and lightweight - it looks great and also has healing powers -- the succinic acid, that amber secrets when heated up by close contact with skin has analgesic and anti-inflammatory properties. 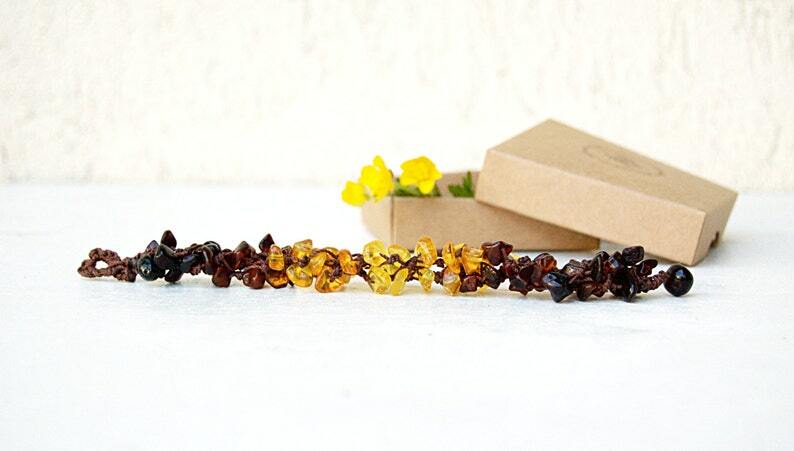 The bracelets are made by hands all the beads are hand tied into 4 strands to form these lightweight beautiful accessories for your best friends! The bracelets come gift-wrapped in nice little boxes with silk paper inside. You can specify the length of the bracelet. The standard lenght is 16.5cm/ 6.49 inch. Fastening is a loop and a big amber bead.